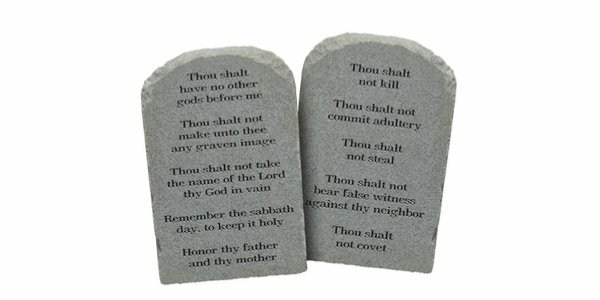 This week following Easter we have decided to return to our Jewish foundations, and look at the Ten Commandments. Unfortunately our Hebrew is not quite up to scratch. Thankfully Dennis Prager does know his Hebrew and therefore can explain clearly the difference between ‘Thou shalt not kill’ and ‘Thou shalt not murder’. We start with the First Statement given by God to Moses on the Mount: I am the Lord Your God. and remember what Western civilisation was built on. To those who say, ‘I don’t need God to be good’, we say, well, the only reason you know what ‘good’ is because of the Ten Commandments and later the Gospels. You, in fact, are standing on the shoulders of giants but think you are flying. We remind you – you don’t have wings. The Ten Commandments are our foundations. Enjoy.